The major changes to points earn and burn rates that American Express announced earlier this week have generated a lot of discussion among frequent flyers and points collectors. Many of us are trying to work out how to respond: especially about which cards to continue to hold and what to do with existing Membership Rewards points balances. If you haven’t heard, the value of Membership Rewards points – the popular flexible points currency earned on Amex’s own-brand cards – will fall by up to 50% on 15 April 2019. Qantas and Velocity cards will see a milder cut to earn rates. While these changes are disappointing, I believe Amex cards will continue to provide good value. Points earn rates will remain high, plus there are many lifestyle and money-saving benefits to enjoy (for example, this week I received over $200 of value from the Amex Offers program alone). Here’s how I’m planning to respond to Amex’s points changes. 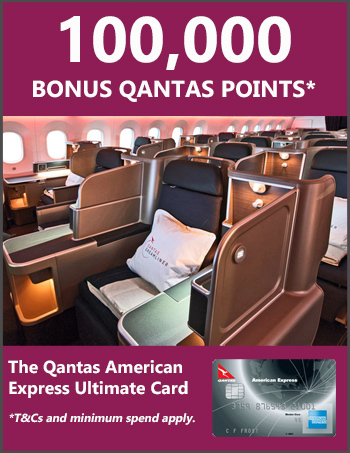 the Qantas Amex Ultimate Card, which has the highest Qantas Points earn rate on spend. I use it for personal needs, earning 1.5 Qantas points per $1 and an extra point on Qantas flight bookings. This will fall by 0.25 points per $1 in April. the Amex Explorer Credit Card: I use this card for business purchases, effectively earning 1.5 points per $1 with a range of airlines including Virgin Australia and Singapore Airlines (this will fall to 1 point per $1 in April). Almost all my business expenses go on Amex, sometimes via the payment service B2Bpay. the Amex Platinum Card: I hold this card to enjoy awesome travel benefits like worldwide airport lounge access and luxury hotel perks. Right now, the points earn rate on everyday spend is inferior to the other cards, but it will increase to 1.125 airline points per $1 in April. The Explorer and Platinum cards both earn Membership Rewards points, which I love because of the flexibility of transferring them to multiple airlines. I’ve held onto the Explorer card solely because of its higher points earn rate compared to the Platinum card. Otherwise, the Platinum card is superior. From 15 April 2019, the Explorer card’s points-earning edge will disappear, and as a result I’ll be cancelling my Explorer card in favour of continuing to hold the Platinum card. The Platinum card is a niche product targeted at high income earners and serious travellers. The annual fee is $1450, so you really need to be taking advantage of the perks to make it worthwhile (I have no problem doing that!). If the Platinum card wasn’t a viable option for me, I’d probably continue to hold the Explorer card: it’s the next best card for banking points with Singapore Airlines, which I love. I’ll also continue to hold the Qantas Amex Ultimate Card because I need separate cards for business and personal spend. This card is practically free, since a $450 annual travel credit fully offsets the annual fee. If I didn’t need separate cards for business and personal spend, I’d probably cancel the Qantas Amex Ultimate Card and only hold the Platinum card, which counts Qantas as a transfer partner. While the Ultimate card will have a slightly higher earn rate post-April (1.25 v 1.125 airline points per $1), this is effectively negated by the regular 15%+ bonus offers on transfers from the Platinum card to Qantas and Velocity (as is available right now). If you’re weighing up which card best meets your need, check out my summary of all the April 2019 changes here. I’m going to make hay while the sun shines by bringing forward large purchases and prepaying bills before the changes kick in. If you have the cash to spare, this is a no-brainer for maximising points earn. Membership Rewards points will be devalued on 15 April 2019, so spending them beforehand could make sense. 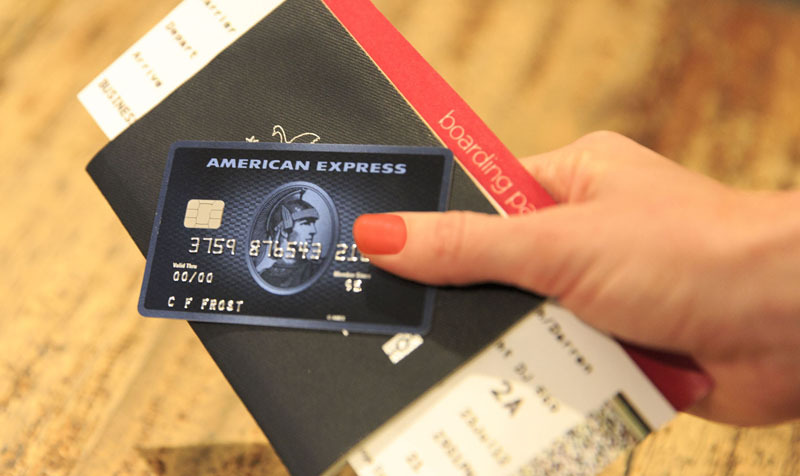 UPDATE 21/11: Amex advises that before the rewards changes come into effect on 15 April 2019, it will have a range of ways for card members to use their Membership Rewards points if they choose, to ensure they receive maximum value. More about the offers can be found at www.americanexpress.com.au/rewardschanges or card members can contact Amex by calling the number on the back of their card. Unfortunately my favourite transfer partner, Singapore Airlines KrisFlyer, imposes a three year expiry on points, so I can’t ‘warehouse’ too many points there. I’ll probably take advantage of the current offer of 15%+ bonus points on transfers to Qantas and Velocity, while also leaving some points in my Amex accounts in case we see even better transfer offers closer to April.